I think you'll find today's project a little something unexpected. At least it was for me. 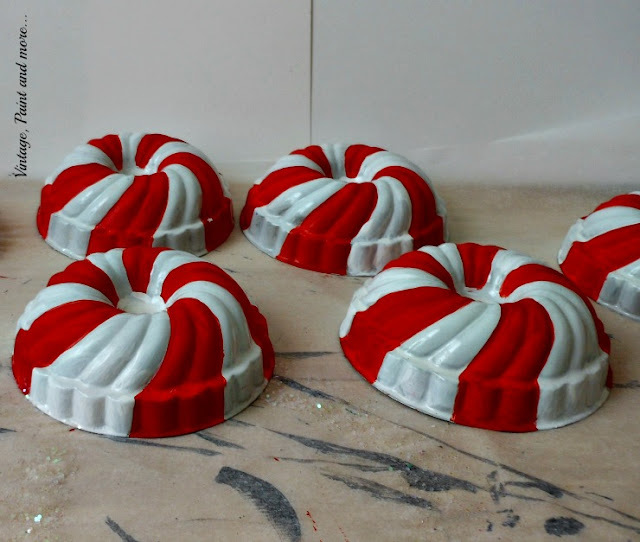 When I found a bag of vintage jello molds (12 for $1) at the thrift store I really had no idea what I was going to do with them let alone make a Vintage Christmas Wreath out of them. But, I needed a project for a group and these jello molds were sitting on my work desk begging me to do something with them. I couldn't leave them sitting there so I created a great project for them. Isn't this adorable - so whimsical and unexpected. 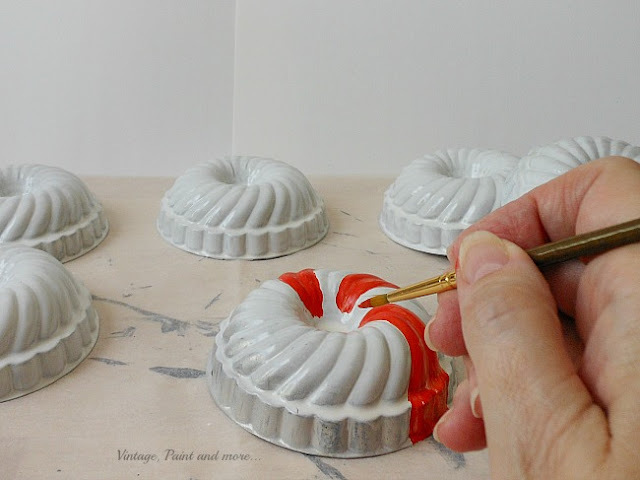 You would never believe it's made with vintage jello molds. 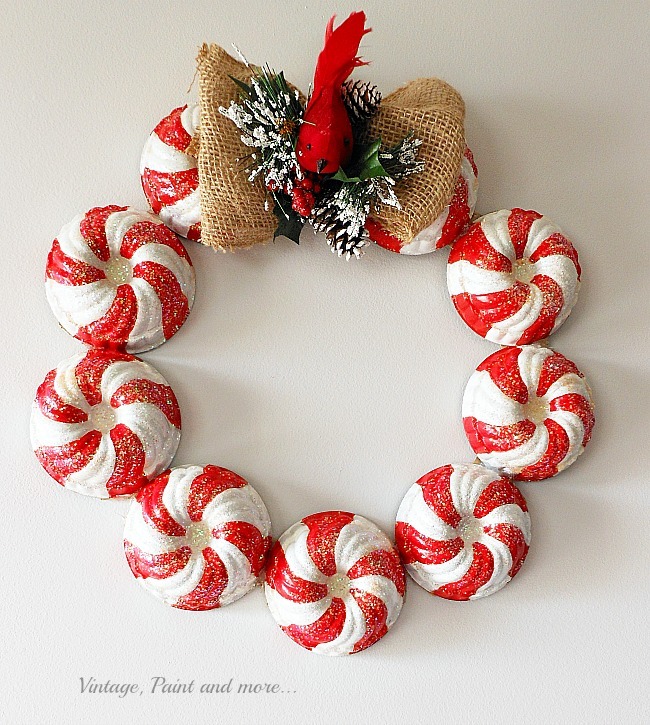 But with a little paint and glitter, I was able to transform them into this great little Vintage Christmas Wreath. First I spray painted them white with some Rustoleum white paint I had on hand. You could use any white spray paint though. Then I used some Christmas Red craft paint to paint the stripes. This is how they looked when all the stripes were painted. A bit flat and dull looking to me so I needed to come up with something to jazz them up a bit. I decided to put glitter on them. I didn't have any clear spray paint to spray them with and apply the glitter so I had to come up with another way (going to the store was not on my agenda). I had read that you could use hairspray to apply glitter to painted objects so I decided to try it. I sprayed each piece with hairspray then glittered it, let it dry for a bit and resprayed it. It went on perfectly. I did the second coat of hairspray because I had read somewhere else to spray glittered objects to keep the glitter from flaking off. Next, I cut a cardboard ring to the size I wanted and used hot glue to glue the molds in place. I added a burlap bow to the top and in the middle of that, I glued a Christmas decoration I had picked up at the dollar store. I love how it turned out - I think it resembles those star mints. Here it is hanging on our front door. It actually pops against the black. It always amazes me what you can come up with when you find interesting objects at the thrift store that make you think outside the box. I will be linking up to the parties listed on the Where I Party page. Be sure and go by and visit these great parties - I'm sure you'll find something you love at each one. Cathy!! OMG!! I love this!! I will now be on the look out for these!! Cathy! This is AMAZING!!!!!! The glitter is the cherry on top! What a clever idea! You are so creative...I just love this...so cute! CUTE! Bring on all things Christmas! 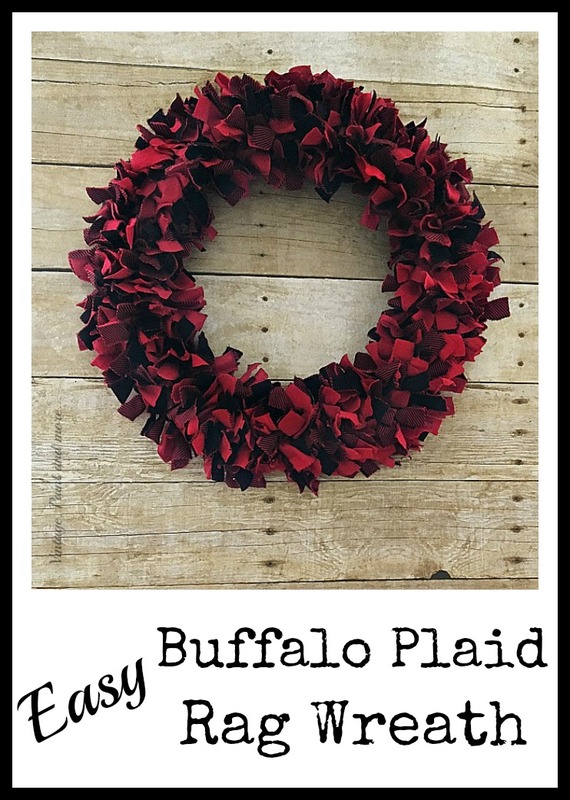 Cathy this wreath you made is so creative and pretty! Thank you so much Lucy - I had fun with this one. Gotta love that dollar store! How cute is this? Completely brilliant. I love the chunkier glitter too...just like sugar. I want to copy this so I will be all eagle eye for a great score like you got!!! This is so sweet! I love the touch of sparkle. I have painted many of these molds and have a christmas tree full of them all different. 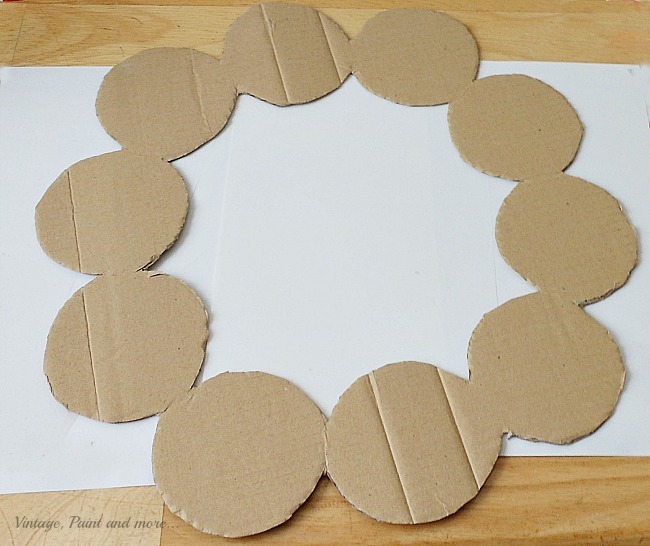 This idea that you came up with is perfect for my left-over molds and I just love your wreath. Great idea, great execution. Cathy, This is such a great idea and it turned out so cute too! Thank you for sharing with us at the Brag About It link party! Hi Cathy, I did one similar to this one. Instead of hot glue, I used my Cropodile and punched holes in the tin then wired them together. I punched two holes on each side of them. It's very sturdy. I thought about using mine but didn't try because I thought it would be too tough for it to go through. I will have to try that should I have problems with the glue. Thanks for the tip. 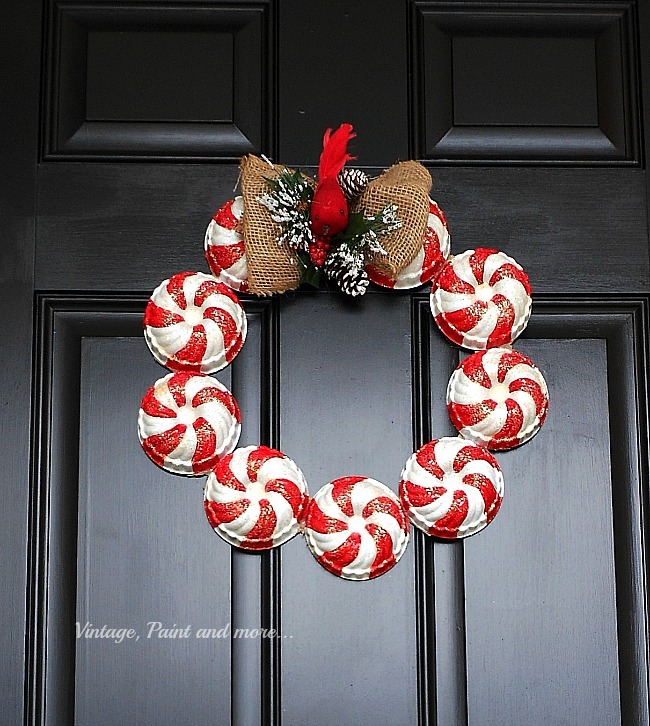 OMG, I love this wreath. I have a stash of these and now you have given me a great idea for them. Thank you so much. So happy you have found a use for yours now - have fun and enjoy it. 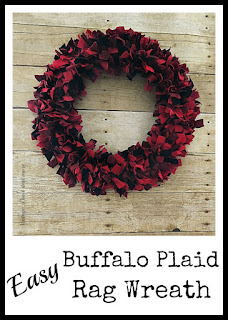 I love, love, love this wreath! 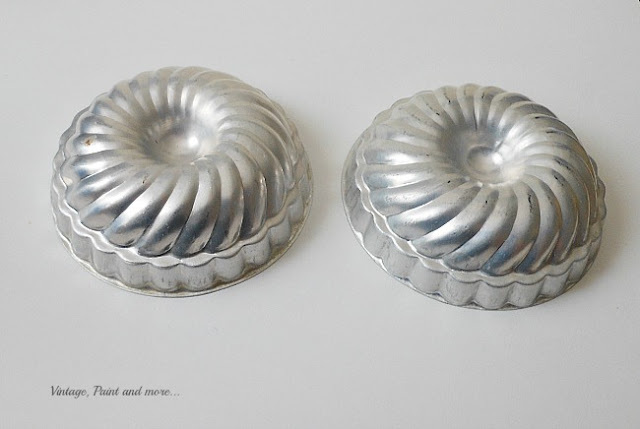 I'm going to check my stash and see if I have enough Jello molds to make one for myself. Pinning. Thank you so much - I was so lucky to find as many as I did in one place. Have fun making it and hope you enjoy it as we do ours. Thanks for pinnng. That is gorgeous - Thanks for linking up to Pin Worthy Wednesday, I have pinned your post to the Pin Worthy Wednesday Pinterest Board. That is absolutely beautiful and something I would never have thought of. I have some molds around here that I will have to hunt up. Thank you for sharing. So darn cute Cathy! I always pick up jello molds at thrift shops. Never have gotten that fabulous of a deal though. 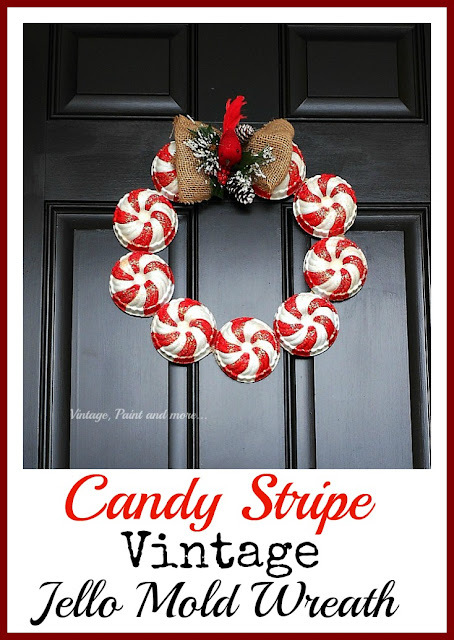 The candy wreath is so creative! Thanks for sharing with SYC. Oh my, you've outdone yourself, Cathy! It's fun; it's original; and it's delightful. Great job :) Thanks for bringing it to Vintage Charm. I love it! It does look just like those mints. What a great find and what a very creative use of them. Pinned and Tweeted. Thanks so much for sharing at Snickerdoodle. 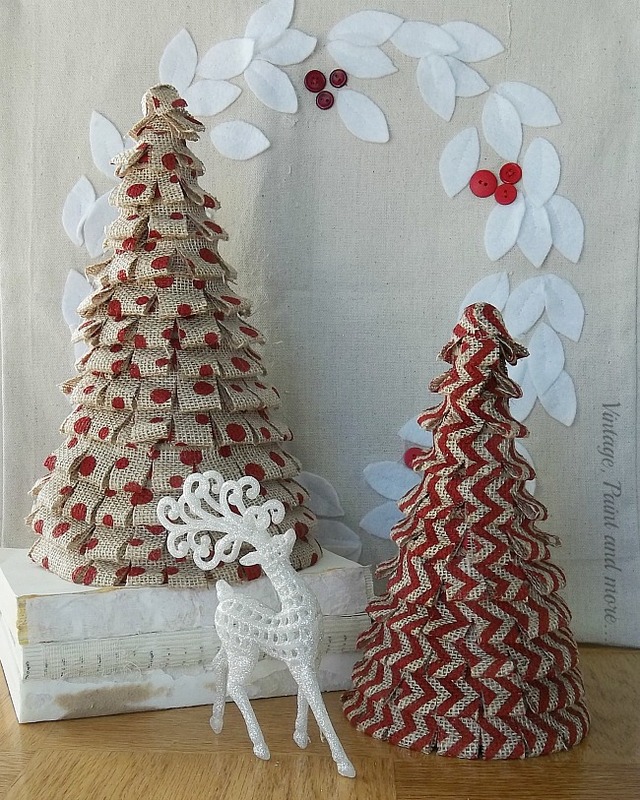 Oh Cathy this upcycle is just adorbs! 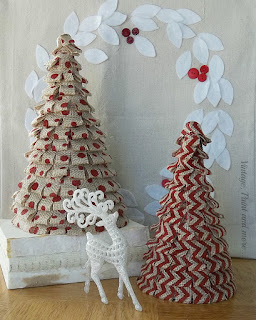 Definately pinning to my Christmas Junk Board for sure, love it! 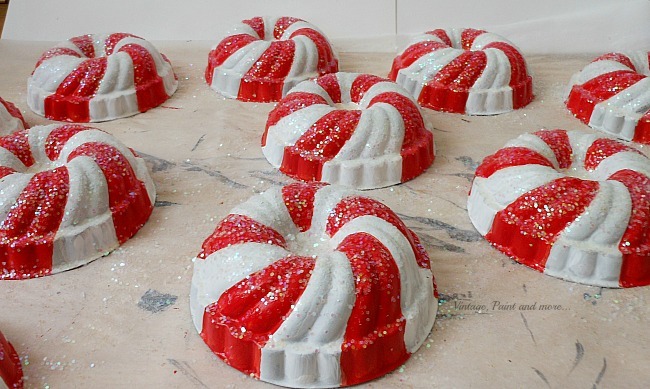 Wow - this has got to be the best use of jello molds I've ever seen! Thank you so much for linking it up with us at the Thank Goodness It's Thursday party. Seriously - this is brilliant! Such a great idea for the holidays. I'd love to find some of those molds. Thanks for sharing at the party. Hope to see you again soon. I tried using hot glue with metal before but the cold weather made it fall apart. Ended up having to use wire. Cathy ... turned out really special. Looks so real. Congratulations on being featured @Vintage Charm. What a fabulous thrift store find! All of those jello molds for $1 ~ wow! I love how creative your were. Your candy wreath looks awesome! Oh my gosh, this is FANTASTIC. Truly the perfect use for those Jello molds. WELL DONE!! Thank you so, so much for partying with us at Snickerdoodle Sunday- can't wait to see what you've got next this weekend!